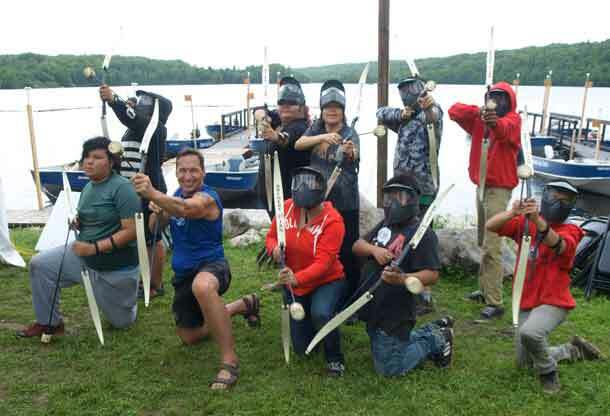 Wabun Chief Marcia Brown-Martel joined in a fun game of archery tag at the Wabun Youth Gathering, held at Horwood Lake Lodge, recently. Back row L-R: Jacy Jolivet, Taylor Macmillan, Chief Brown-Martel, Nigel Neshawabin and Amadeus Neshawabin. Front L-R: Ethan Naveau, Tim Simpson, Pro Sports; Athena Kyle, Logan Black and Dreyden Agawa. 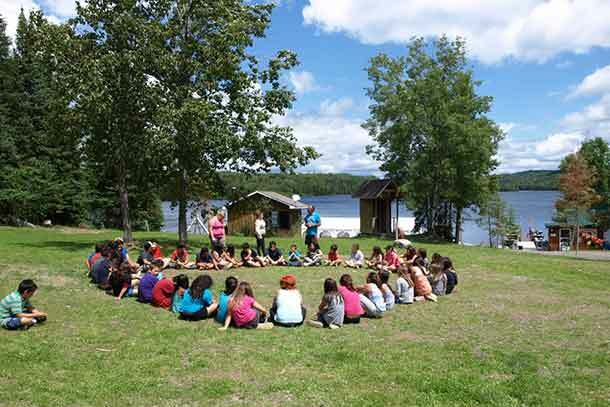 THUNDER BAY – The Wabun Youth Gathering celebrated its 10th year in the wilderness lake side resort setting of Horwood Lake Lodge, west of Timmins, July 11 to 22. More than 60 Wabun youth attended the event which was sponsored by Wabun Tribal Council Health Services based in Timmins. The gathering also had support from Goldcorp Inc and Kunuwanimano Child & Family Services. The event was coordinated by Faye Naveau, Regional Crisis Coordinator for Wabun Health Services. Senior Wabun Youth experienced traditional teachings in the wilderness setting of Horwood Lake Lodge, near Timmins, recently. Nishnawbe-Aski Nation (NAN) Deputy Grand Chief Derek Fox, attended the event to speak to youth in support of the annual gathering. Wabun leaders Chief Walter Naveau of Mattagami FN and Chief Alex ‘Sonny’ Batisse of Matachewan FN also drove to the semi remote event to make presentations to the youth. Chief Marcia Brown-Martel of Beaverhouse FN spent a week with Wabun Youth as an Elder, chaperone and mentor. 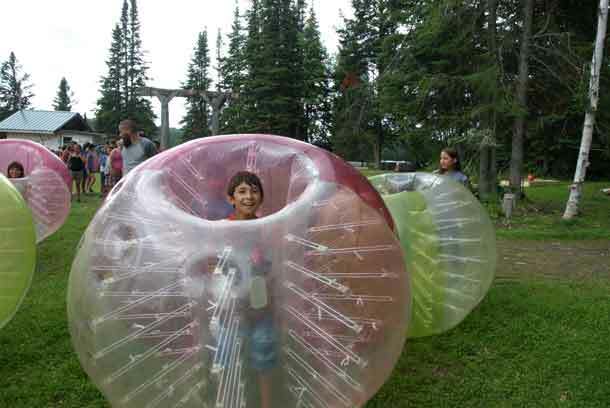 Quinton Batise, of Matachewan First Nation, had plenty of fun while taking part in Bubble Soccer, during the Wabun Youth Gathering held in Horwood Lake, west of Timmins recently. The event was divided into two parts. The first week from July 11 to 15 was held for junior youth aged from eight to 12 and the second week from July 18 to 22 was for senior youth aged 13 to 18. The two week event featured a series of workshops and teachings for both groups on traditional knowledge and culture by facilitator, Ron Kanutski, a Social Worker and Cultural Teacher from Lake Helen First Nation in northwestern Ontario. He is also well known as a stand up comedian and performer featured in events throughout Canada and the United Sates. His group sessions included play activities for younger individuals and more indepth teaching sessions for older youth. “One of the most important lessons I learned from my Elders is that we should spend more time playing and having fun with our youth. In all my lessons, I include plenty of laughter and joy because not only is it more fun to learn that way, it is more memorable for those I teach,” said Kanutski. Wabun Junior Youth, from the ages of eight to 12, came together in group sessions for learning and fun during the 10th Annual Wabun Youth Gathering held from July 11 to 22. The Timmins Fur Council held special activities for both groups including a presentation on trapping culture and animal hides. Organized games and sporting activities were provided by Pro Sports Management of Timmins on two occassions. During the first week, Tim Simpson of Pro Sports Management led junior youth in bubble soccer and for the senior youth in the second week, archery tag was organized. Although both activities were hampered by rain showers, participants still managed to enjoy these activities. On the last evening of each week before participants left to go home, a social gathering was managed by music DJs, Peter Lawryniw and Kevin Martel of DJTAZ of Timmins. Jacy Jolivet, a 13 year old member of Brunswick House FN, who has attended the annual event for several years and graduated from the junior camp to the senior camp this year, commented that the gathering has become a highlight of his summer. “I had lots of fun this year as we got to go out on the water, to go fishing and swimming. I also get to see people I got to know from other communities over the years and that is always rewarding. 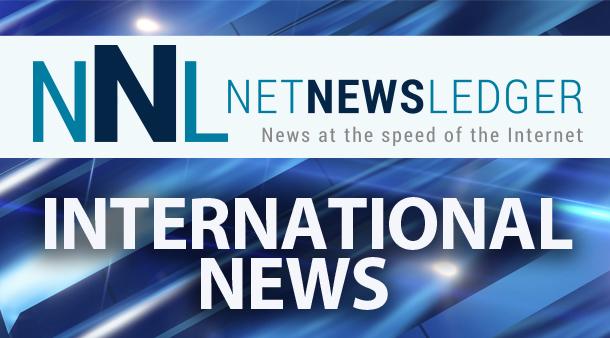 I always learn something new here and it helps me to have a better life,” said Jolivet. Opening and closing prayers were led by Elders Vina Hendrix, of Matachewan FN during the first week and Chief Brown-Martel for the second week. “We are happy with our move to Horwood Lake Lodge for the annual gathering. There were very few distractions here in the middle of this beautiful wilderness setting with eagles, loons and all types of wildlife nearby. The youth had more time to spend learning, playing and getting to know each other. I am so thankful for the support of our Wabun Chiefs, Wabun Executive, our Health Director Jean Lemieux and chaperones for making sure our young people are being helped along a good trail so that they will have better lives,” said Faye Naveau. Wabun Health Director Jean Lemieux, congratulated Wabun Youth for making the tenth annual gathering a reality and spoke to them about the special significance of the event for Wabun Tribal Council. This event was made possible through the vision and dream of our Elder Thomas Saunders of Brunswick House First Nation. Although he passed on before this dream could be made a reality, it was always his wish to see our people, especially our youth come together in a gathering such as this. This was also made possible by the support of our Wabun Chiefs and all the workers that have supported this event for the past ten years. It has made a difference in the lives of our youth and I am hopeful that the dream of Elder Saunders will continue on into the future,” said Lemieux. Horwood Lake Lodge owners Mike and Jaana Brazeau along with their staff provided safe, modern and caring accommodations for the Wabun youth. Fishing and pontoon boats were made available to allow youth to experience fishing and trips out onto the expansive wilderness lake for the senior event only due to weather conditions. Horwood Lake Lodge through Albert’s Sports and Workwear in Timmins provided a fishing tackle kit and rod for each youth. 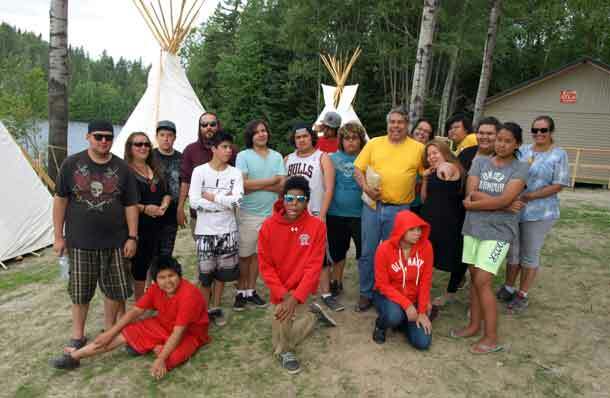 “It was great to have the Wabun youth here at our lodge. I’ve always emphasized that we not only cater to our older fishing and hunting crowd but also must foster a new generation of fishermen and women that can grow to enjoy our northern wilderness,” said Mike Brazeau. 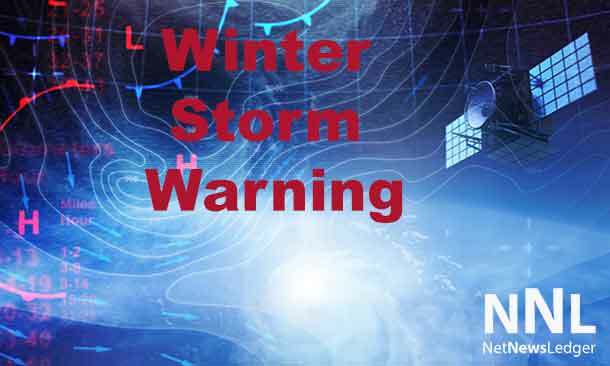 Under The Northern Sky is the title of a popular Aboriginal news column written by First Nation writer, Xavier Kataquapit, who is originally from Attawapiskat Ontario on the James Bay coast. 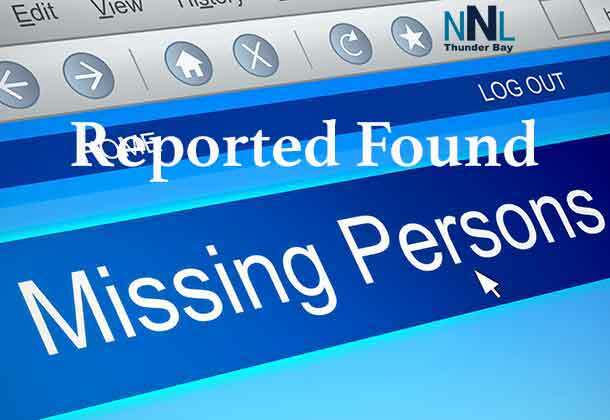 He has been writing the column since 1997 and it is is published regularly in newspapers across Canada. In addition to working as a First Nation columnist, his writing has been featured on various Canadian radio broadcast programs. Xavier writes about his experiences as a First Nation Cree person. He has provided much insight into the James Bay Cree in regards to his people’s culture and traditions. As a Cree writer, his stories tell of the people on the land in the area of Attawapiskat First Nation were he was born and raised.